If you want to remove the dust, dirt and clutter from your house, you can use our professional help and achieve the results you expect. The spring cleaning which we offer in W4 Chiswick is efficient and speedy. It will make your rooms flawless and you and your family will live in a healthier atmosphere. Let Pro Cleaners Chiswick take care of the spotless condition of your home and the results will be great. We offer affordable and professional one-off cleaning of houses and flats. Our cleaners in W4 are trained to do their work speedily and achieve the desired results. They use the latest cleaning machines and non-toxic detergents which remove stains and dirt without posing any risk to your and your pets’ health. Our staff will sanitise the kitchen appliances and worktop, sink, furniture and windows. They will remove the dust and stains from all hard surfaces, polish the mirrors, doors and handles. Use our services which also include excellent cleaning of floors, vacuuming sofas, carpets and upholstery. Our cleaners will disinfect and polish the chrome, washbasin and tiles in the bathroom. 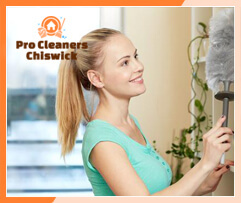 We guarantee you that you will be happy with the spring cleaning which we provide in W4 Chiswick every day in the week. If you need extensive and properly done cleaning of all the rooms in your property, book our spring cleaning services. They are low-cost and done by some of the most competent and skilful cleaning technicians in London. You can count on them to ensure the cleanliness and tidiness of your house and flat. 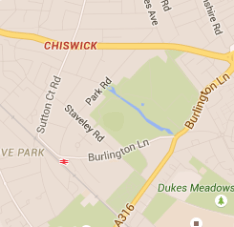 Our spring cleaning is available in and near Chiswick London at reasonable prices. You can receive additional information if you contact our customer support centre and speak with our representatives.